What type of sports fan are you? No, I do not mean which sport do you watch, I mean what type of fan are you? It does not matter the sport you watch or follow, all sports have one common thread that connects them together: the fans. Are you a fan who cheers for a team because others do[social pressure]? Are you a bandwagon fan and cheer only when a team is doing well or playoff bound? Are you a fan that does not cheer but rather critiques without any stats to back you up? Or are you a die hard, cheer no matter what kind of fan? Or perhaps you fit into the unique fan category [such as the Canucks Green Men and the Swedish viking twins, etc.]? Me, you ask, what kind of fan am I? Well if you follow my blog regularly the answer is obvious. Personally, I fit into the die hard, cheer no matter what kind of fan category. Was I always this way? No, but I decided if I was going to start cheering for my team than it had to be all or nothing. If you also are a die hard fan, then perhaps you can relate to the frustration that comes when those who are only around to cheer for win streaks or extended playoff runs. A die hard fan is in for the long haul, season after season, win or lose. A die hard fan knows the team stats backwards and forwards. A die hard fan cheers all season long despite the ups and downs, it is the ups and downs that give teams character. Fans of all kinds also tend to have game day rituals of some kind. Do you have a specific game day routine? Do you eat a certain food or have a specific game day beverage? Or perhaps have a lucky t-shirt or jersey that you must wear? This is how game day begins for this die hard fan! I ask you again, what kind of fan are you? Is there a team that drives you from the bandwagon to die hard? If you are a fan of any sport, you understand the phenomenon of what it means to a fan of any kind. No matter what sport you root for, you will always find fans of all levels. Some fans will drive you crazy, some will start great debates with you and some will be crazy all on their own but all are unique in their own way. There is always a bandwagon for every sport, the one that is most often seen during successful streaks or extended playoff runs. For me, there is no bandwagon. All season long, win or lose I will continue to cheer for my Vancouver Canucks. I am a #Canucklehead through and through and that will not be changing any time soon. Whatever type of fan you are, as always, until next time, nuck said. This entry was posted in Hockey, NHL, Vancouver Canucks and tagged hockey, NHL, sports, sports fans, Vancouver Canucks by sarahlaug. Bookmark the permalink. Thank you! I’m a passionate die-hard Canucks fan of only a few years. I made the switch from my beloved Leafs (who I still have a soft spot for) when I fell in love with Lu and with this team at and after the 2010 Olympics. After living in the Columbia Valley for 13 years it was time to place my hockey love with the Canucks. There’s something magical about this team, a sort of “je ne sais quoi…” There are Canucks fans all around the world. 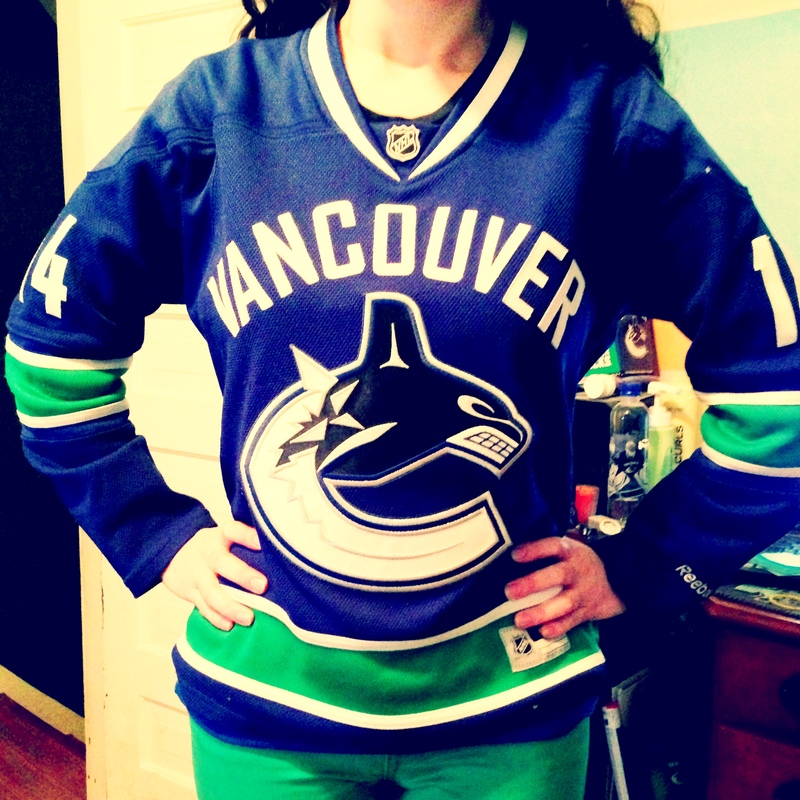 Canucks Australia (Canucks Australia @VanCanucksOz), Canucks Brazil (Canucks Brasil‏@VanCanucksBR). I have Canucks fans on my Twitter & FB TL’s from all over – UK, Denmark, The Netherlands, Italy, Australia, Brazil, Sweden, etc. And, of course, Canucks fans travel the world with their jerseys, tees, ball caps, etc. Win, lose or draw the Canucks are my team! You’re welcome! It always amazes me that wherever I go, there are Canucks fans far & wide. I agree there is definitely something special with this team. And after all we are all Canucks!